RM* is short for Real Media which is one of the most popular formats for streaming content on the Internet. Real Media files are often heavily compressed so they can stream over dial-up Internet connections. However it is not a native HTML5 video**, thus your RM videos are not playable on HTML5 browsers. If want to play .RM files on a HTML5 website or browser, you need to convert RM to html5 formats first, then embed them into your webpage with a RM HTML5 player. How to Convert RM to HTML5 Video? Step 1. Download RM to HTML5 Converter. Simply click Add Videos button to import RM video files from your computer hard disc to the application. This HTML5 converter supports batch video conversion, you can add multiple RM videos to the converter and convert them into HTML5 videos in a batch. 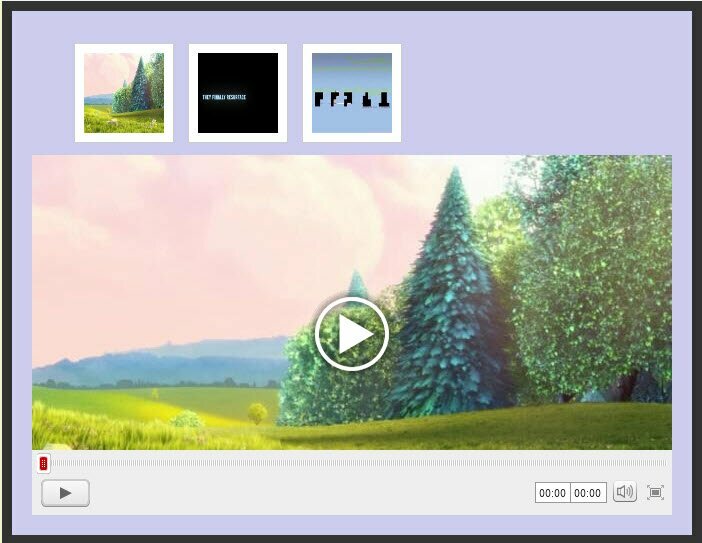 Click the Preview button to view your RM videos in HTML5 player, click the Publish button to convert the source RM files to HTML 5 videos with the nice looking web video player. Now you have converted RM to HTML5 video, additionally you get the professional HTML5 player as well. They can be found from the output folder of this RM to HTML5 converter software. It is time for us to publish the HTML5 video online now. How to Add RM to HTML5 website? In the first half of this RM to HTML 5 tutorial, we showed you the steps to convert RM to HTML 5, now please follow bellow steps to embed the HTML 5 videos into your website. The HTML 5 videos and player will be published to your local hard disc first. Run the RM to HTML5 converter, go to HTML5 menu >> Open Output Folder, find the HTML 5 video project we have just created and upload them to your website directory through FTP client. Now you know how to easily convert RM videos to HTML5 and publish them to your website with HTML5 video player(s). Have Fun! *RM: RealMedia includes the RealAudio codec for sound clips and RealVideo codec for movies. RealAudio and RealVideo files are often given the common RealMedia “.RM” file extension.